Russell & Marie look forward to welcoming you to The Edwardene in Keswick, providing luxury accommodation perfect for relaxing days away from the hustle and bustle. 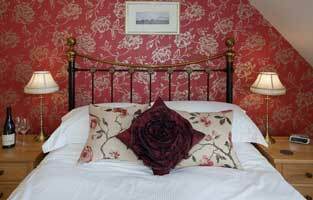 The Edwardene is a relaxed and welcoming guest house, centrally located on a quiet side street a few minutes stroll from Keswick’s Market Square. The stunning shores of Derwentwater and The Theatre By The Lake are just a 10 minute walk away. 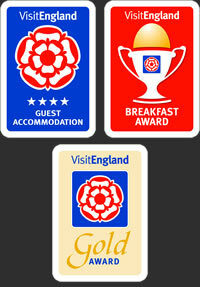 All rooms have luxury pocket sprung mattresses, soft down duvets and feather pillows, ensuring a great nights sleep. (Hypoallergenic alternatives are available on request). 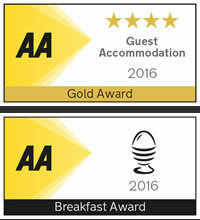 Breakfasts are special at The Edwardene and have won awards from both Visit Britain and The AA in recognition of a very special, high quality, breakfast with an emphasis on freshly prepared local ingredients. For those that like to get out into the wide open spaces then we have secure cycle storage if it’s needed as well as indoor drying facilities – just in case. We have free WiFi throughout. 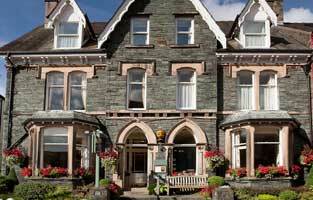 The Edwardene, Keswick is perfectly placed for exploring all that The Lake District has to offer, from fell walking, climbing, cycling, photography, or simply enjoying the beautiful scenery and picturesque villages, it’s all available from our doorstep. Our recently refurbished bedrooms are furnished and decorated to a high standard and all are en suite with showers or some with combined bath & shower. 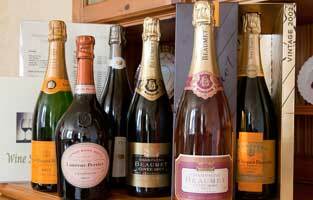 We are fully licensed and have a lovely lounge for guests to relax with a glass of their favourite tipple.